Tosin lives and works in Washington DC, where he is a Resident Physician at Howard University Hospital. He aims to use public health tools to create healthcare delivery systems that work, and thus to contribute to solving the many healthcare challenges facing the developing world. In the summer of 2013, in partnership with the Institute of Public Health of Obafemi Awolwo University, Tosin launched Maternal Health Plus in the rural Nigerian communities of Ilesa and Ile-Ife. The pilot would follow 200 women over the course of their pregnancy, with final results generated in the third quarter of 2014. Oluwatosin (Tosin) was born in France and grew up in Nigeria. There, widespread poverty and inadequate health services made a deep impression on him at a young age and prompted him to study medicine and dedicate his life to improving the health of the world’s most vulnerable people. He obtained his medical degree from Obafemi Awolowo University, Nigeria and holds a Master’s degree in Public Health (MPH) from Harvard University. Tosin has practiced medicine in Nigeria, was the co-editor of the African Youth HIV/AIDS Best Practices Handbook and is the author of several articles in the areas of HIV/AIDS, Reproductive Health, and Improving Access to Health. His experiences working as a medical doctor in both extremes of the Nigerian healthcare industry influenced his work on health insurance options for developing countries, which was featured in an anthology published by the Global Forum for Health Research and The Lancet. He also serves as a consultant to the Global Pact for African Health and Development Foundation. Tosin was a fellow at the Harvard Global Health Institute and is a member of several professional societies, including the Nigerian Medical Association, the American Public Health Association and the American Society for Tropical Medicine and Hygiene. He has received several national and international awards including the Centre for Social Policy Award, the Institute for Public Policy Analysis Award, the Baobab for Women’s Human Rights Award, and honorable mentions from the International AIDS Society, the Goi Peace Foundation and the World Bank. Ever since serving as a prefect in his high school, Oluwatosin has held leadership positions in a number of organizations. For two years, he was the African Regional Assistant on HIV/AIDS and Reproductive Health for the International Federation of Medical Students Associations and also the President of the Campus Health and Rights Initiative. He also recently served as a member of the Harvard Graduate Council. Tosin has shown great commitment to community service. Among many other others, he has volunteered with the Beth Tzadekah Foundation, the Well Woman Clinic Initiative, Baobab for Women’s Human Rights and Amnesty International. Oluwatosin pursued his interest in this challenge, co-authoring a policy paper entitled Development Assistance for Health: Critiques and Proposals for Change. 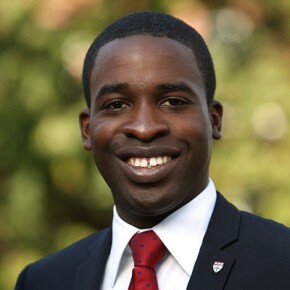 Oluwatosin also explored how mobile phones and other new technologies can improve access to care for the world’s disadvantaged populations, taking Nigeria as a point of departure. He designed Maternal Health Plus, a project that uses mobile telephones to reduce maternal mortality. While in residence at Sauvé House, Oluwatosin secured funding to pilot this initiative thanks to a grant from the Madiro Fund, an initiative of the Gillian and Adrian Schauer Foundation.